A third of the world’s adults are physically inactive, and this sedentary lifestyle is killing about five million of us every year, experts now say. In a series of studies that appeared Wednesday in the medical journal The Lancet, researchers from around the world found that a lack of physical activity – meaning not getting at least 150 minutes a week of moderate physical activity — causes a large portion of the world’s four big killer diseases. They estimate that about six per cent of heart disease cases can be linked to physical inactivity, as can seven per cent of Type 2 diabetes cases, and 10 per cent of breast and colon cancer cases. 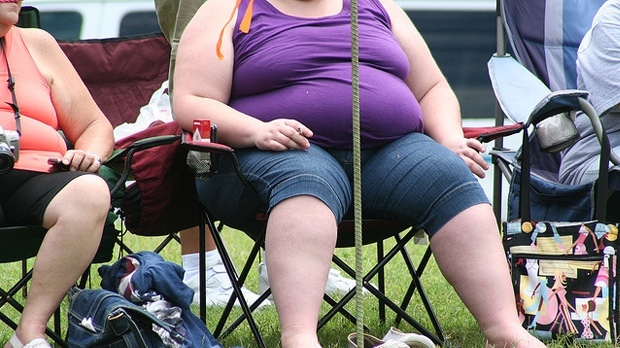 The experts estimate that physical inactivity has now become as deadly as smoking or obesity. As many as 5.3 million deaths around the world were caused by physical inactivity in 2008, one study estimated. By comparison, smoking caused about 5 million deaths. The researchers say the problem of inactivity is now so bad, it should be treated as a pandemic. The lead author of one of the studies, Dr. I-Min Lee, says the London Olympic Games, which are due to begin in just over a week, should inspire all of us to get moving. “This summer, we will admire the breathtaking feats of athletes competing in the 2012 Olympic Games. Although only the smallest fraction of the population will attain these heights, the overwhelming majority of us are able to be physically active at very modest levels – e.g. 15 to 30 min a day of brisk walking – which bring substantial health benefits,” he said in a statement. A second Lancet study gauged the physical activity levels of adults from 122 countries and adolescents (aged 13–15 years) from 105 countries using self-reported data from physical activity questionnaires. They found that around one in three adults — about 1.5 billion people — and a stunning 4 out of 5 adolescents were failing to meet recommended levels of physical activity. “In most countries, inactivity rises with age and is higher in women than in men (34 per cent vs. 28 per cent). Inactivity is also increased in high-income countries”, the researchers said in a statement. That inactivity places them at a 20 to 30 per cent greater risk of heart disease, diabetes, and some types of cancer, the authors estimate. A third paper reviewed more than 100 studies on ways to get people more active. It found a number of methods have been effective. For example, promoting exercise through mass media campaigns has been shown to be effective, as have well-placed “decision prompts” — for instance, signs that urge people to use stairs instead of escalators or elevators. Walking and running clubs are also effective, as are free exercise classes for older adults or those on lower incomes in public places, such as parks. The authors also recommend creating environments that encourage activity, such as bike lanes and trails, improving access to sport and recreational activities, increasing green space, and improving public transit. They said studies from the U.S. Canada, and elsewhere show that simple strategies such as improving lighting and aesthetics at recreational facilities can boost activity levels by as much as 50 per cent. “Even though in some instances the effect sizes of these interventions were rather modest, they were large enough to translate into real population-level benefits if rolled out on a larger scale”, concludes Gregory Heath from the University of Tennessee, the lead author of that study.